/Mailing Service /How do I upload my spreadsheet of addresses? There are two ways to upload spreadsheets of addresses. Learn more below. 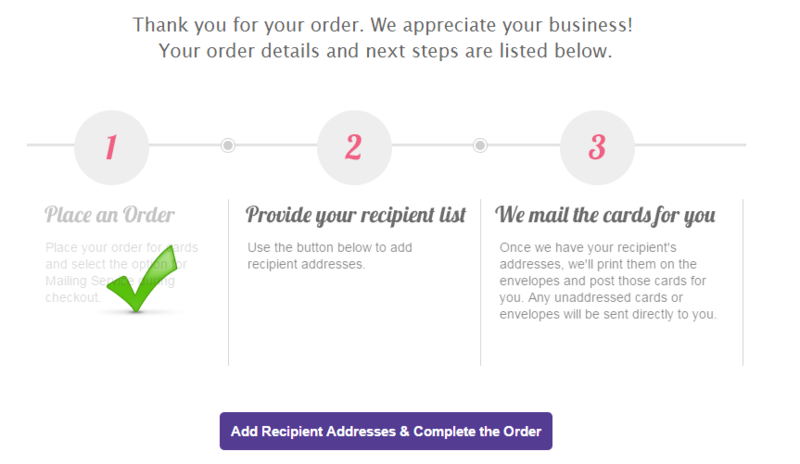 After placing your order you will be prompted to enter your recipients’ addresses. You can enter your addresses at this point or you can add addresses at any time by logging into your account and clicking on the Account icon near the top of your screen and selecting “My Account”. This will bring you to your Dashboard where you can navigate to your “My Orders” tab. This will take you to a page that lists your past and present orders. 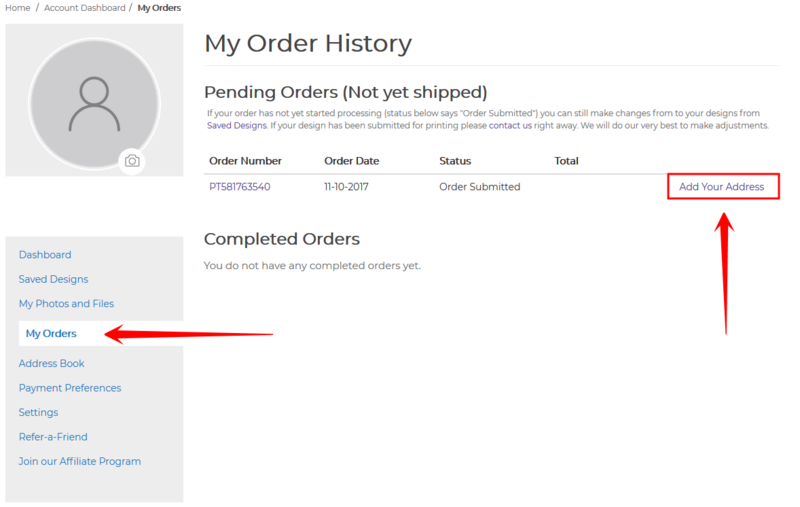 You’ll see your current mailing service order listed as pending. Click on the Add Your Addresses link to complete your order. Enter your return address and then scroll down to step two and add your recipient addresses. Click on the Import Contacts tab and select the Import Contacts button. 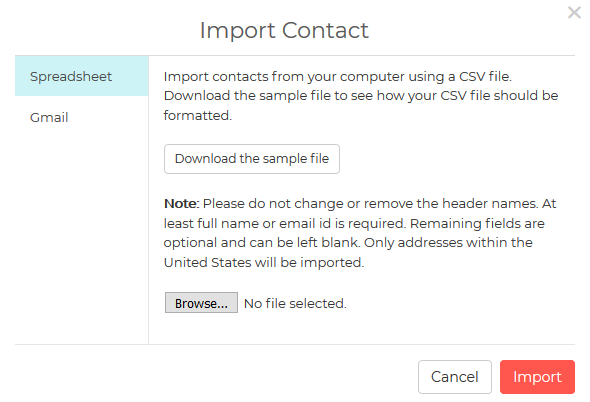 Now you can either import your contacts from Google or Yahoo or by selecting a CVS file from your computer. Click the Choose File button and select the file you would like to upload. Hit import when you’re ready. After importing your file, your list of addresses should appear. Click the Add Contacts button to finish. Any addresses you upload will be saved in your Address Book, so you can easily add them again later. Hit the Complete Order button to finalize your order. To upload a spreadsheet of addresses to your Address Book, log in to your account and click on the Account icon near the top of the screen and then select “My Account” from the drop-down options. From there, click on the Address Book link on the left side of your Dashboard. Then select the Import Contacts tab and then the Browse button to find the file on your computer. Select your file and hit Import when you’re ready. * Please note that for the file to upload correctly, the headers have to match our downloadable sample CVS file perfectly.